Amber Mac outlines her ABCs of social media in the book “Power Friending.” Mac’s “Rules” chapter details authenticity, bravery and consistency as the three precepts for growing a brand socially. I agree with Mac’s three tenets, but would add a “D” for “delineate,” imploring social media purveyors to choose carefully which channels they use to spread their message before gobbling up every network in site. 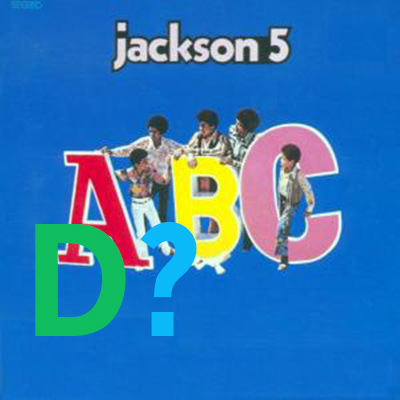 Now, I know the rule of thirds, this, and that The Jackson 5 probably wouldn’t have knocked “Let it Be” from number one with a song called “ABC … D.” But hear me out. Delineating your social media wants from your needs weeds out channels that don’t fit your brand, preventing spreading resources too thin. Is that expensive YouTube video of your restaurant’s world-famous bologna sandwich any better than a picture or description posted on Facebook or Twitter in a fraction of the time? Are the hours you spend posting photos of your hydrofracking hose on Pinterest the best way to find the right audience? Much of Social Media decision-making is simple common sense. Use a channel that highlights the appeal of your product. If you own a photography studio, Pinterest and Flickr are great for showcasing your visual portfolio. If you are a copywriter, Twitter, Tumblr or other text-heavy channels can aptly communicate your writing abilities. More right-fit suggestions in much greater detail. Online channels are interrelated, and consumers can be routed from channel A to channel B if necessary. So it doesn’t hurt to test the waters. In time, you’ll get the feel of which channels fit your branding strategy.